Large corner lot in highly desirable Koko Head Terrace neighborhood! Gorgeous ocean and Diamond Head view from the living room. 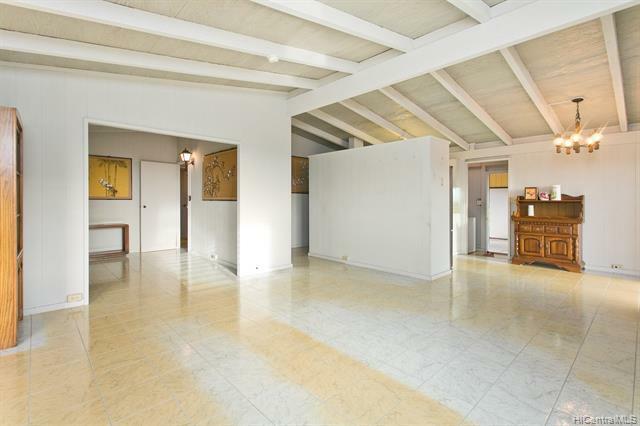 Spacious single-level home, open beam ceilings, large living room and master bedroom. His and hers bathroom, open space layout and fenced yard make this house ideal for family living. Walking distance to Kamiloiki Elementary School and Kaiser High School and bus stops. Short driving distance to library, district park, Koko Marina Shopping Center, Costco, Koko Head Hiking Trail, Hanauma Bay, Sandy Beach. A must see!